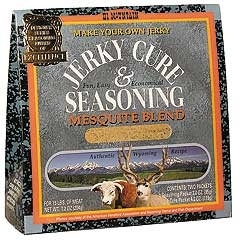 Mesquite Blend Jerky Cure and Seasoning kit makes the world's greatest homemade jerky. Each kit seasons 15 pounds of sliced meat or 11 pounds of ground meat. Kit includes one package of cure, one package of seasoning, a shaker bottle for easy mixing and detailed instructions. 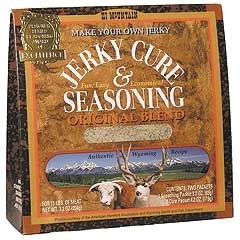 Original Blend Jerky Cure and Seasoning kit makes the world's greatest homemade jerky. This combination Thermometer & Timer with Stainless Steel meat probe also includes an on/off switch! It is programmable by temperature and has a range of 32°F to 392°F. The probe has a 4 Foot Cord for easy temperature reads! It will alarm when the selected temperature has been reached. This is also magnetic so it can be mounted directly on the front of the stove allowing you to see the temperature as it cooks! Uses 2 AAA Batteries & Folds for compact storage when not in use. Easy-To-Read Digital Display With 3/10" LCD Readout And On/Off Switch. -58°F To 302°F Range. Stainless Steel Stem. Case And Extra Battery Included. *This is currently only available at the Owego Store. Please call ahead to check availability as this is a seasonal product. Curing Every Craving! Your one stop candy shop! 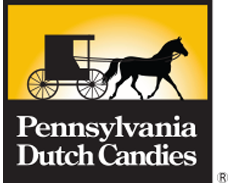 The Endicott Store carries an extensive line of Pennyslvania Dutch® Candies & Snacks. Owego carries their Sanded Drop Candies only. We Now Carry in the Owego Store The Basket Co.® Candies and Snacks! They have been in business since 1999, and are located in Jamestown, New York. They offer a unique line of delicious chocolates, nuts, trail mixes and other candies. Save time and money with the Seal-a-Meal food vacuum sealer that does the work it's supposed to do the very first time. GREAT for use with meat, fresh fruits, vegetables and more! Purchase fruits, vegetables and more in bulk at the Farmer's Market or on sale at the grocery store at a discount price, and seal the extra in a Seal-a-Meal bag as a meal or a single serving for future use. Watch as the air is removed and a tight seal is formed around the food. 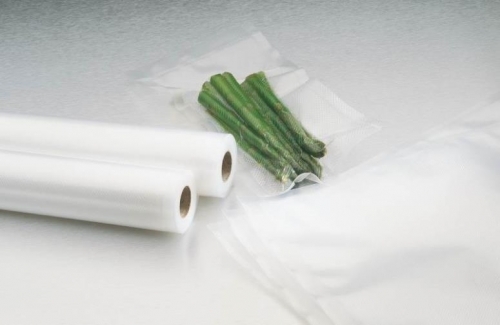 When sealed, store the bags in the refrigerator, freezer or pantry. 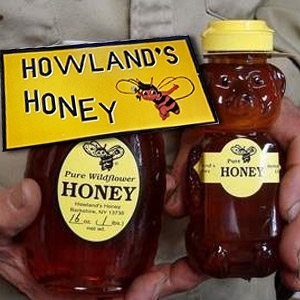 Howland’s Honey is not only well known for its high quality honey in NY State but in other states all over the country as well. These Bears are available in several honey options, including: Apple Blossom, Buckwheat, Clover, Orange Blossom, Raspberry, and Wildflower. 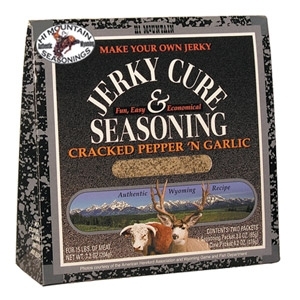 You have found the world's best Jerky Cure and Seasonings. With 18 varieties we have something for everyone. Will it be our most popular Original Blend or something to wake up your taste buds like our Inferno Blend that tempts you? Use our kits to make jerky from beef, wild game, poultry, fish, or any meat of your choice. Jerky can be made in an oven, smoker or dehydrator. 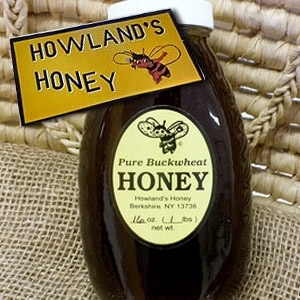 Howland’s Honey is not only well known for its high quality honey in NY State but in other states all over the country as well. Several Honey varieties available, including: Apple Blossom, Buckwheat, Clover, Orange Blossom, Raspberry, and Wildflower. 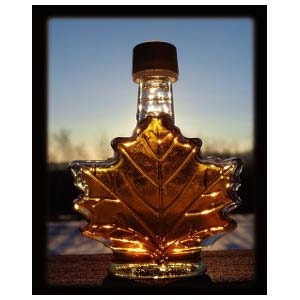 For those who love Maple Syrup, we have Pure Maple Syrup, Maple Cream and Maple Candies available - Locally tapped from Genegantslet Syrups and Smithville Flats, New York. Protects food from freezer burn. For use in either the refrigerator or freezer. Safe to use in the microwave or boil-in-the-bag heating. Multi-layer protection. 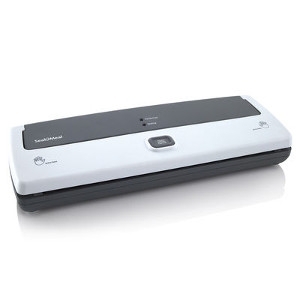 Works with Seal-a-Meal vacuum food sealer, SKU 96340202. 18 Feet Total! Fall isn't complete without Apples, & There's No Better State to get them from than the "Big Apple!" 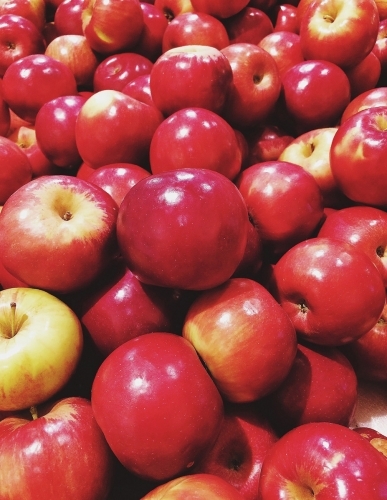 That's why all of the Apple Varieties we sell come from Cherry Lawn Farms in Sodus Bay, New York! Currently we have: Idared, Crispin & a Few Northern Spy Apples In-Stock. We Sell them in Half-Peck, Peck, or Half-Bushel Sized Bags. And the BEST part, we charge you by the bag, not by the pound which saves you a TON!